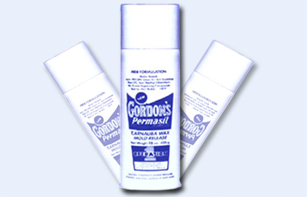 GORDON'S PERMASIL #808 (Blue Label) Non-Flammable Water-Based 425gr Can Carnauba Wax Aerosol Spray, Industrial and Automotive Applications. Taking up the majority of second place's demand, this grade is for use in applications where a water-based version must be used. 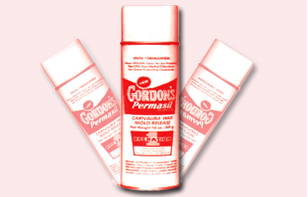 The following information is specifically related to each unit of measure of Permasil 808 Blue Label Carnauba Wax Non-Flammable Water-Based Mold Release. If you which to compare this to other product sizes, click on the respective product from the list above and check here for values specific to that product. These values are taken from our internal database and are used in the calculation of the gross weight and packaging dimensions of the goods during shipping. You can use these values to to approximate delivery charges using your own carrier. CAPLINQ is different. Unlike other business to business enterprises, we encourage our customers to discuss, critique, and otherwise comment on the products we offer. 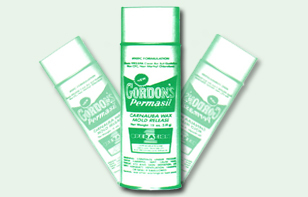 Get more technical information, read detailed posts, and see what customers have to say about about Permasil 808 Blue Label Carnauba Wax Non-Flammable Water-Based Mold Release on our Corporate Blog and Forum. 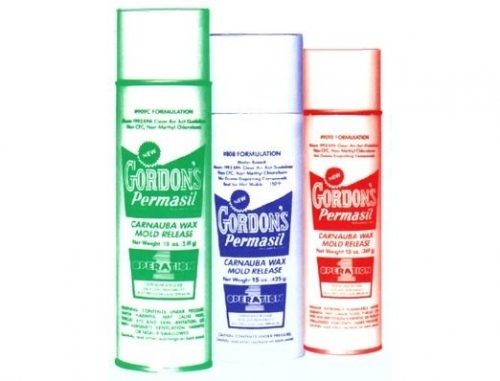 Read more about Permasil 808 Blue Label Carnauba Wax Non-Flammable Water-Based Mold Release on our Blog. Join the discussion about Permasil 808 Blue Label Carnauba Wax Non-Flammable Water-Based Mold Release on our Forum.